I was listening to a podcast by Keith Preston at Attack the System regarding the question “Who are the Power Elite?” If I recall correctly, I found this podcast through the good efforts of Charles Burris. In this podcast, and I will paraphrase as best as I can, Mr. Preston suggested certain ways that the elite control the population. For the lower economic classes, control is achieved through various laws that allow for an overly aggressive police – drug laws, prostitution, and the like (see William Grigg for a few examples of the methods). 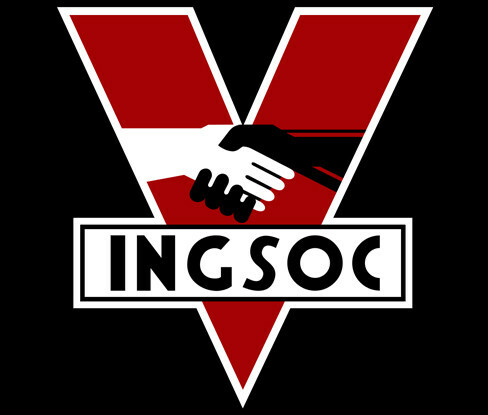 For the middle and especially upper economic classes, control is achieved through enforcement of political correctness – the avoidance of certain views found to be unacceptable in polite society. This seems to be more the case the higher one goes in economic and intellectual circles. One need look no further than the so-called bastions of intellectual purity – the top colleges and universities – to find this to be the case. How many students regurgitate the acceptable answer instead of the correct one – no matter how well they defend their position? It is interesting that the brightest minds have, in many ways, been captured by the system – whether the owners of those minds understand this or not. Consider, the top researchers, economists, financiers, academicians, journalists; all hold privileged positions much more lucrative than would likely be the case in a free market. The brightest minds – the ones best able to question the very system that controls them – are beholden to that same system for their oversized positions. While the internet has helped to put a crack in this armor of political correctness, the acceptance of “narratives at variance with the facts” still holds tremendous power to control – or, worded another way, the questioning of “narratives at variance with the facts” still holds tremendous power to chastise. September 11, Pearl Harbor, dropping the atomic bombs, Ron Paul, central banking, global warming (or climate change), the two-party system, an independent press, honor the troops, Franklin Roosevelt, Abraham Lincoln, the Good War, the gold standard, Iran, Israel, Austrian economics, . You hold one of these privileged positions – perhaps a nice research position at the NIH, or a high-profile position with a major newspaper or nightly news broadcast; an employee of a central bank; an eight-figure-a-year-bonus banker; an executive at a defense contractor. You are a cog in polite society. Go to your next cocktail party, and question the politically acceptable view of any of these topics. I don’t mean one-on-one, where your counterpart’s views will not be heard by others. No, say something to the crowd of five or six standing by the cheese table, where each member of the group must be concerned about witnesses. You won’t do this too often before you are no longer invited. Put faces on the people at the party: Warren Buffet, Ben Bernanke, Jamie Dimon, Jeff Immelt. Have you heard any such individuals question an official narrative – one at obvious variance with the facts? How about the news anchors, business journalists? Maria Bartiromo? Do you think you will be invited to Davos after such an indiscretion? I am trying to remember my internal explanation for the existence of “political correctness” prior to hearing the above-mentioned podcast. I cannot remember it – the explanation given by Mr. Preston was one of the bigger light-bulb moments I have had in quite a while; it has erased any thinking from my memory that I had about this concept before. Reprinted with permission from the Bionic Mosquito.